Students from Catholic schools were named players of the year in three spring sports, and several others received all-state honors for their performances this year. 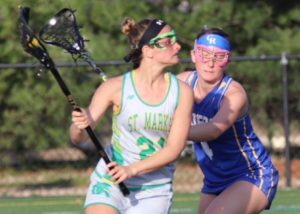 Padua’s Ashlee Brentlinger, St. Mark’s Kendra Schweizer and Salesianum’s Brett Hobbs were honored in girls soccer, girls lacrosse and boys lacrosse, respectively. Brentlinger, a senior, scored 11 goals and added 11 assists in the regular season, during which the Pandas went 14-1. 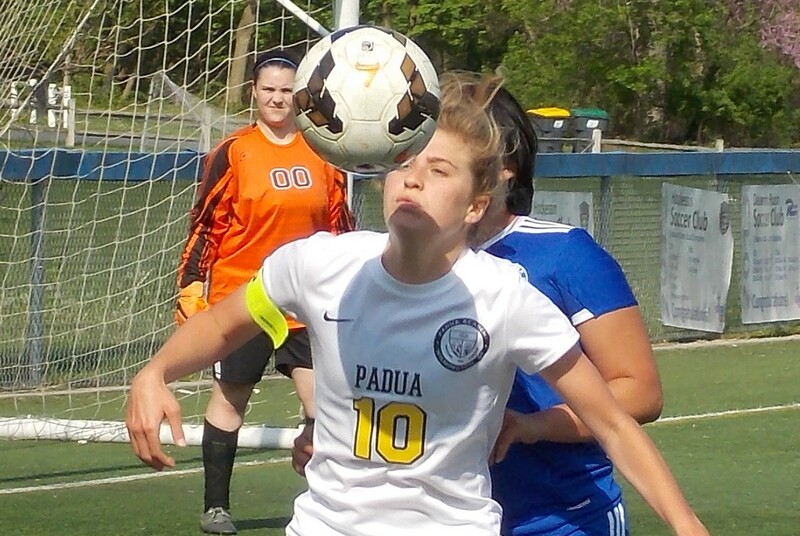 She added a goal on a penalty kick in the Division I state championship match against Caesar Rodney, a 5-1 Padua win. She will play next year at Florida Gulf Coast University. Brentlinger leads the First XI, which combines the best of Division I and Division II. The other Catholic school products on the First XI, as selected by the Delaware Girls Soccer Coaches Association, are Padua’s Camryn Scully and Brianna Niggebrugge, both seniors, and St. Mark’s senior Hannah Schepers. 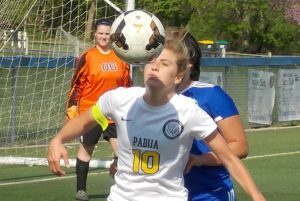 Katie Szczerba, Padua’s senior goalkeeper, earned a spot on the Division I first team, along with her teammates. The Division I second team includes fellow Pandas Kristi Cox and Riley Hickox, both junior, and Rachel Simpson, a sophomore. 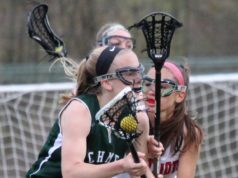 Schepers was joined on the Division II first team by Archmere senior Lauren Murray and Ursuline senior Allison Olmstead. Taylor Glunt, a junior at St. Elizabeth, earned second-team honors in Division II. In girls lacrosse, Schweizer capped a stellar career with player of the year honors, according to the Delaware Girls Lacrose Coaches Association. The senior scored 85 goals and had 23 assists to lead the Spartans. Schweizer is headed to the University of Delaware. 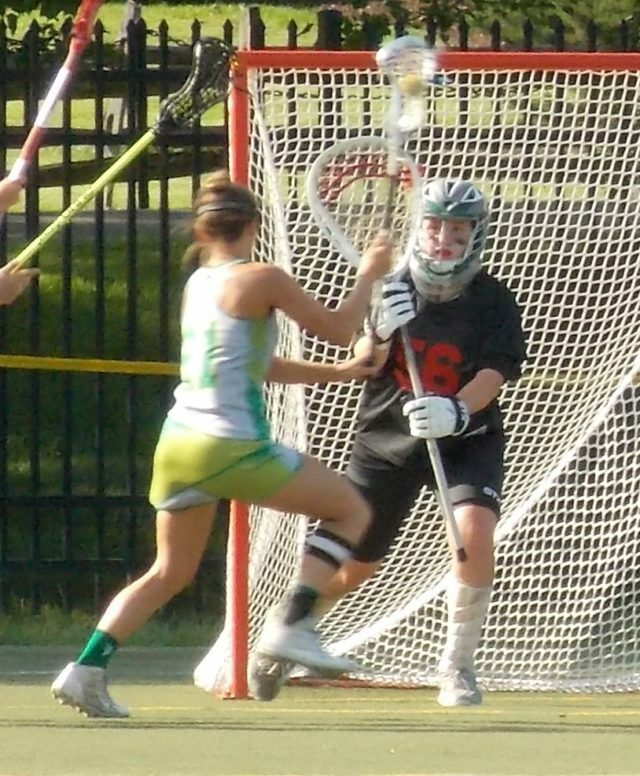 She was joined on the first team by teammate Meg Noonan and Ellie Noonan, both juniors; Ursuline senior Val Cradler and juniors Jane Lyons and Moira Carroll; and Archmere juniors Caroline Donovan and Jen Olsen. Schweizer, Lyons and Carroll also were named high school All-Americans. The Catholic schools were also well-represented on the second team. 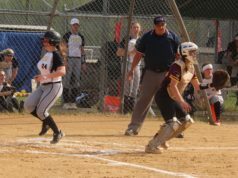 Those selections included St. Mark’s seniors Angel Lorang and Paige Megargee, and junior Clare Estes; Archmere junior Kate Olsen; Padua junior Rachel Delate; and Ursuline junior Brigid Monahan. In addition, Lori Schweizer of St. Mark’s was named coach of the year. She led the Spartans to an undefeated regular season and a berth in the state championship game for a second consecutive year. The Spartans finished 17-1. The boys lacrosse player of the year was Brett Hobbs, a senior midfielder from state champion Salesianum. 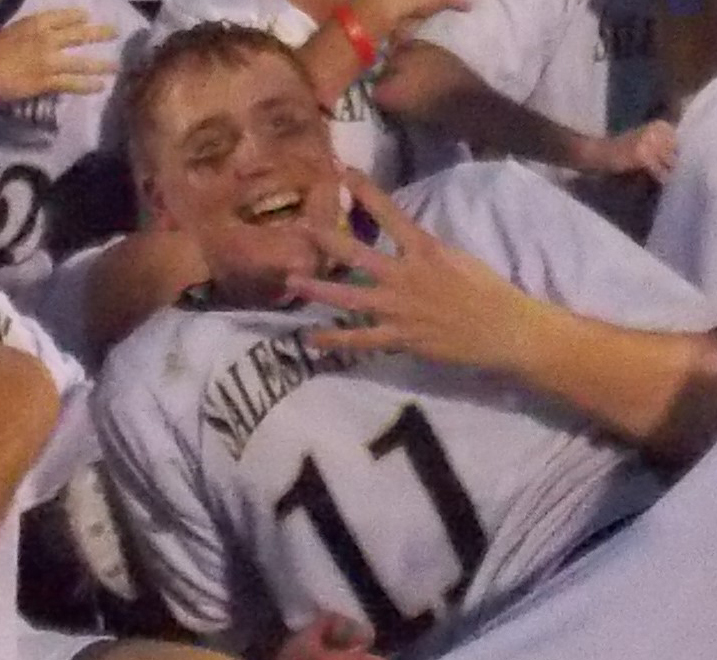 Hobbs scored twice in the state championship game as the Sals finished the season 16-3 and won their fourth straight title. He will play for Penn State. The other Sals on the first team are seniors Patrick Drake and Brady Emmi; juniors Colin Fowler and Chad Cannon; and sophomore Colin Kennedy. Hobbs, Drake, Fowler and Emmi also were named All-Americans. 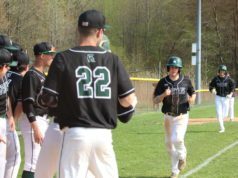 Archmere junior Mitch Moyer joined them on the first team, which was selected by the Delaware Boys Lacrosse Coaches Association. Cole Bauer, a junior from Archmere, was the lone second-team selection. The third team included Salesianum’s Logan Falconetti, Cooper Urban and Brad Santore; St. Mark’s Ian Noonan; and Archmere’s Ryan Whelan and Zane Fracek. Cam Marion of Salesianum was honorable mention.